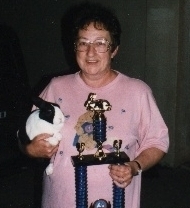 I also belong to the American Dutch Rabbit Club, American Netherland Dwarf Rabbit Club, Louisiana Rabbit Breeder's Association, Inc., Southern Dutch Fanciers, False River Rabbit Fanciers, Pearl River Rabbit Club, All-Southern Rabbit Show Circuit, and the Louisiana Dutch Rabbit Club in which I hold the office of Secretary-Treasurer. Links to rabbit clubs and photos of our show-winning rabbits can be found elsewhere on my website. Learn more about the wonderful hobby of showing purebreed rabbits.